Take advantage of our free swimming pool testing at either of our locations. Applying trial and error hoping to get clear, sparkling, and safe pool water is like baking a cake by grabbing ingredients out of the pantry and tossing them into a bowl without measuring anything. It isn’t going to give you the results you want, and you’ll have wasted ingredients in the process. 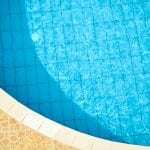 The only way to be sure you are applying the right chemicals to the pool at your Cornelius, North Carolina home is with swimming pool testing. Here at Cayman Pool & Spa, we can assist you with swimming pool testing, so you can be certain you are getting the right balance of your chemicals for clear, beautiful water that is safe for you and your family. What is even better, is if you bring us a small sample of your pool water, we’ll provide the swimming pool testing free of charge. This will tell what chemicals your pool needs, and when you provide us with the water capacity of your pool, we’ll calculate the right quantity of chemicals to get the job done. We carry a full line of chemicals at both of our locations, as well as other supplies, so you’ll get everything accomplished with just one visit. If you would like to save time and effort dealing with swimming pool testing, you can also take advantage of our swimming pool cleaning service. It covers keeping the components clean, performing the swimming pool testing, and putting in whatever chemicals are needed. If you would like to know more about our swimming pool services, including our pool opening and closing services, don’t hesitate to call or stop by. At Cayman Pool & Spa, we offer swimming pool testing services in Mooresville, Concord, Cornelius, Davidson, Harrisburg, Huntersville, Kannapolis, Statesville, Troutman, and the Lake Norman area of North Carolina.